04 STING NPL & 05 WAYNE UTD BLUE NPL GIRLS CROWNED CHAMPIONS AT 2017 DTS INVITATIONAL! 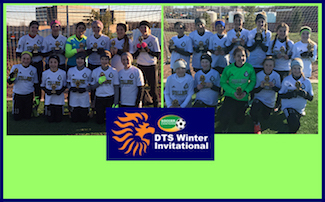 Two NJ Stallions Girls teams were crowned Champions at this year's 2017 DTS Winter Invitational. The NJ Stallions 04 Sting NPL team and the NJ Stallions 05 Wayne Utd NPL girls took First Place at the always competitive winter event in NJ. The NJ Stallions 04 Sting NPL after this victory now rise to #10 in NJ and are no in the top 100 Nationally for the 04 Girls age group. The NJ Stallions 05 Wayne Utd Blue NPL team have now risen to #2 in NJ, ranked #3 in Region I, and nationally are now in the top 25, at #22 in the US. Congratulations to both teams for continuing to build on their successes!